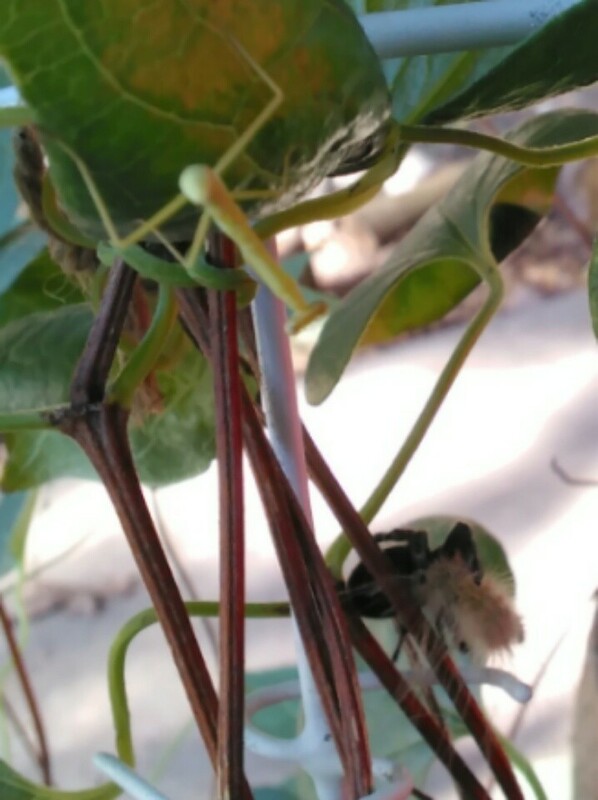 Yesterday while inspecting my clematis, I came across an amazing scene, in miniature, of nature at her most wild. 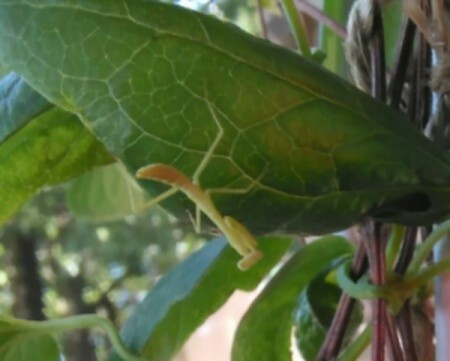 At the top left of the photo you'll notice a baby praying mantis. 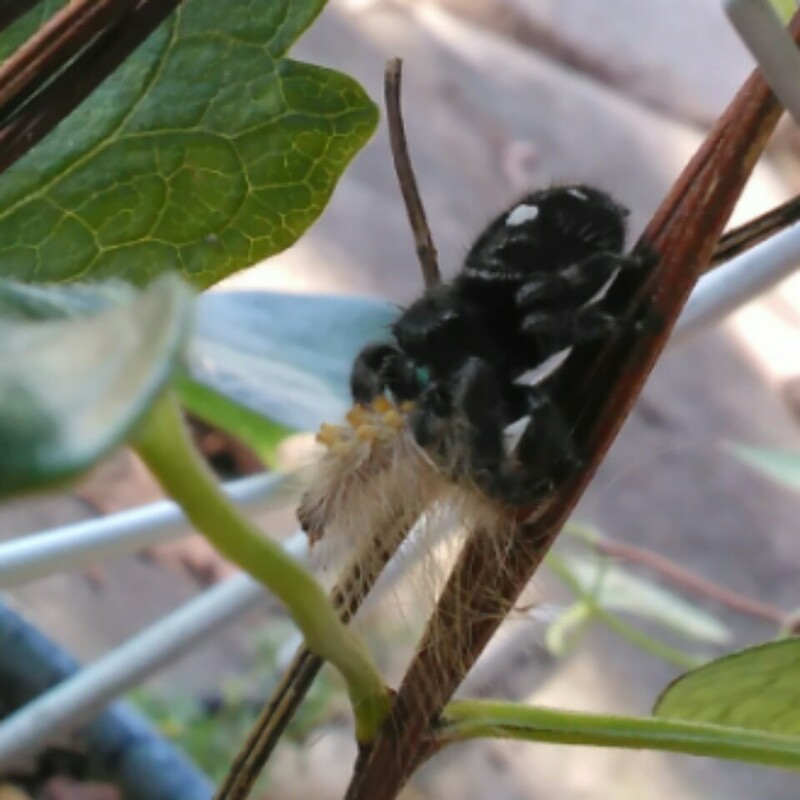 He is intently interested in what you'll notice at the bottom right of the photo, a jumping spider making a meal of a caterpillar. Imagine my surprise! The next two pictures show close-ups of each. The world around us is full of amazing sights every day. The next time you stop to "smell the roses", really take your time - you might also see something truly incredible!